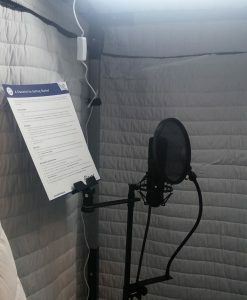 Acoustical Vocal Booth (AVB-66) 6 ft x 6ft is spacious enough to fit in a desk and a chair for an interviewer and couple of extra chairs for guests. 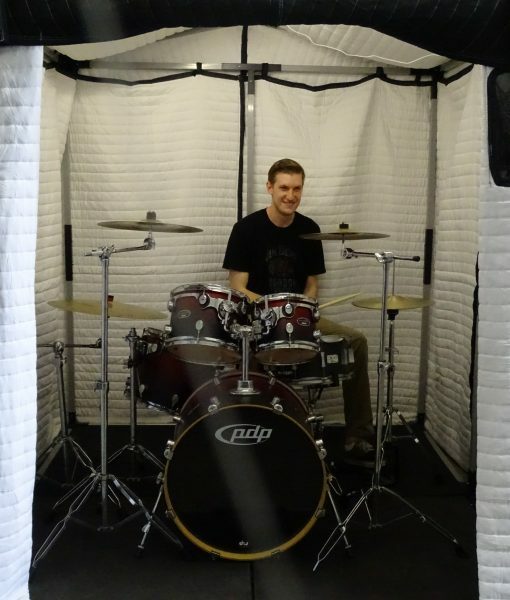 It can also fit a Drum set or a small band. 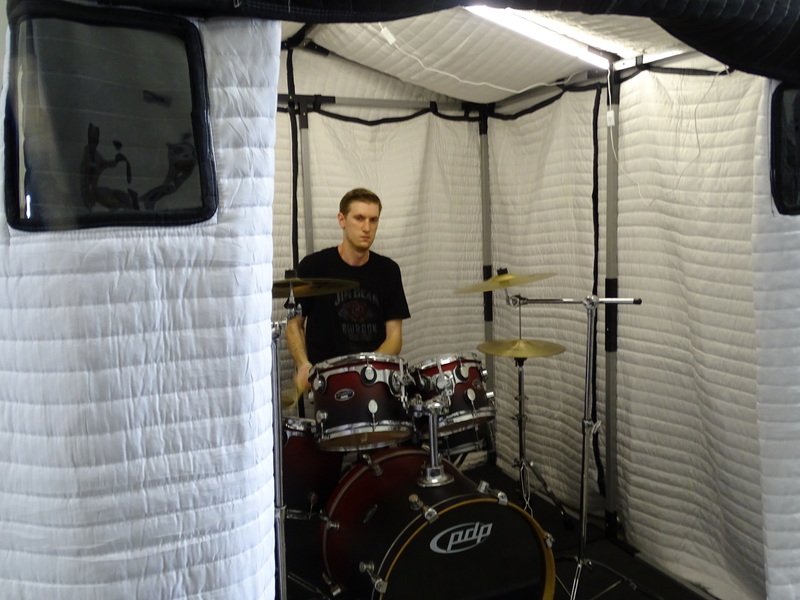 Provides excellent acoustic environment for audio recording. 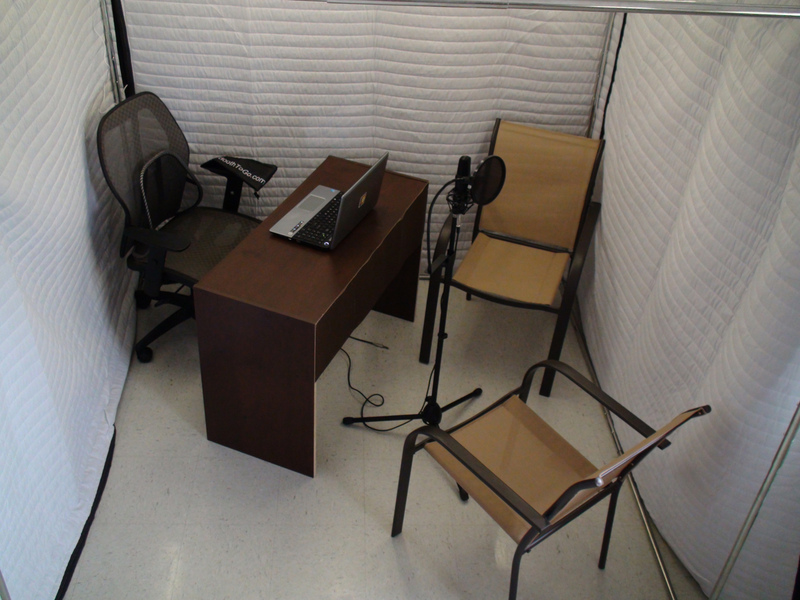 NOTICE: it is NOT sound proof, But it will cut off enough of the outside noise to make your recording clear. 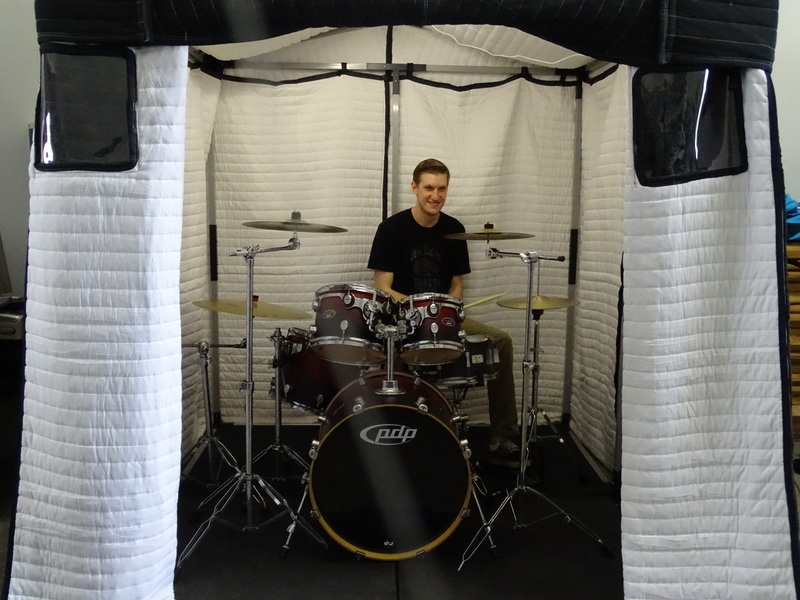 Perfect for any large or small space, this walk-in vocal booth measures at 6 X 6 X 7.5 feet tall. 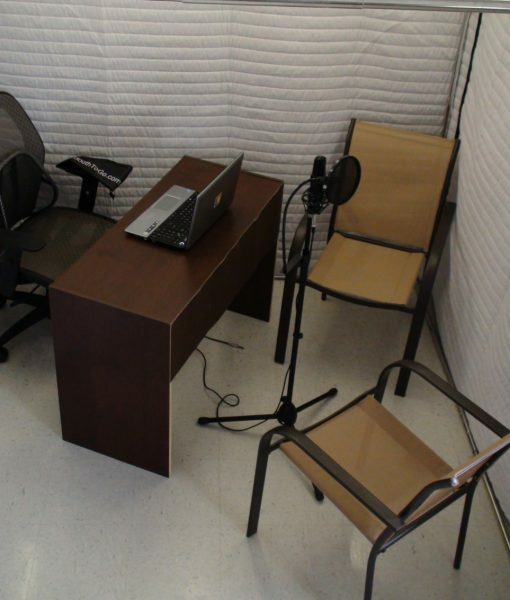 This vocal booth is designed for applications needing acoustic room treatment and creating a “dead” space for audio recording, such as for voice over recordings, audio recordings. 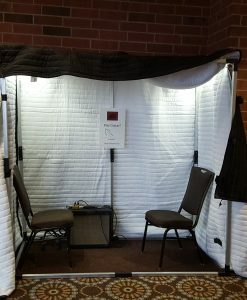 This portable vocal booth is easy to assemble and disassemble and be transported in a car and even stored in a closet when not in use. Light weight metal frame with bag. Shape and transform the booth to different shapes. 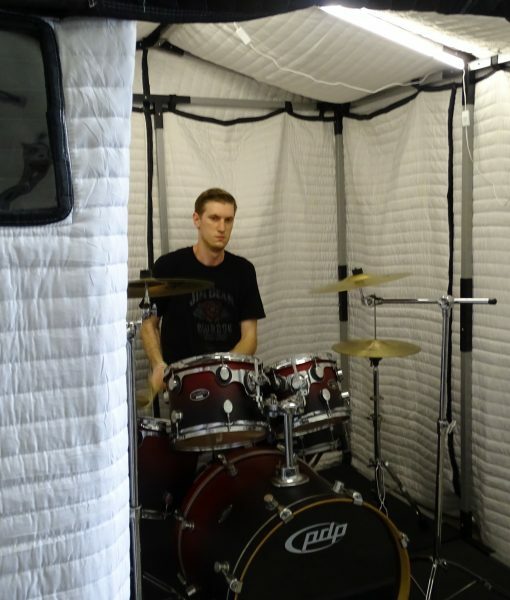 NOTE: Acoustic Vocal booths are NOT soundproof. Please note that booths can take up to 5 business days to ship.